This Keyboard is a PC! 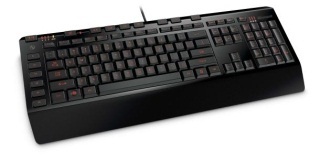 At CES, Asus unveiled a full-sized keyboard with a PC built in. 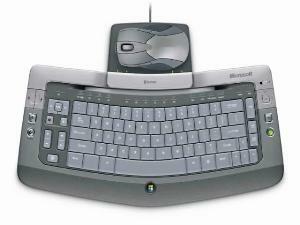 The PC’s desktop can be viewed from the 5-inch interactive display on the keyboard’s right side. The display can also operate media controls in addition to displaying a Windows desktop. The Asus Eee keyboard, named after the company’s line of netbook products, features an Atom processor, USB and video ports, an HDMI port to connect to your HDTV, Wi-Fi, and a solid state drive. Right now the battery only lasts 90 minutes, but the company plans to up that to 3 hours by the time the device is available for sale. 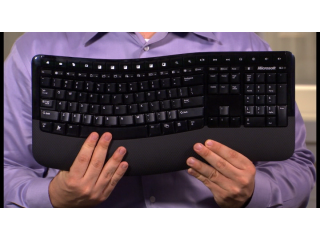 At the moment, the keyboard is just a prototype, but the company plans to release it in September. I now know why Windows 7 team decided to drop Sidebar. Very interesting.